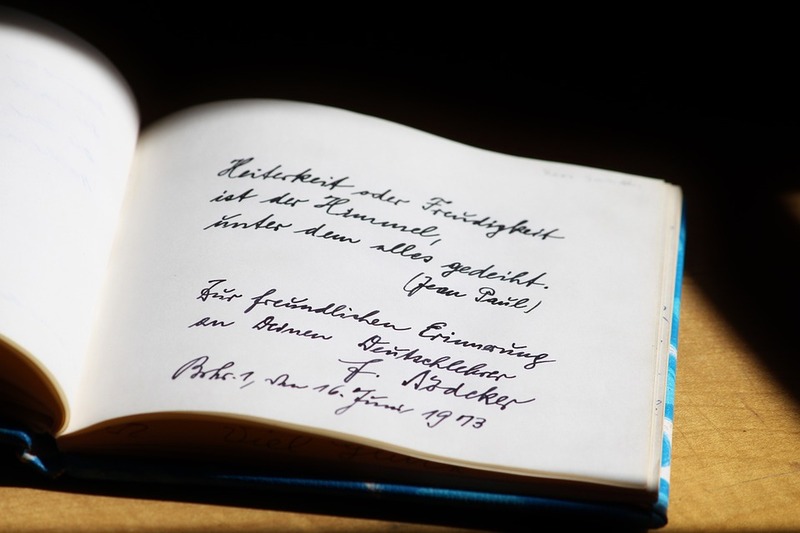 A poetry review is a review in which you should provide a highly personal interpretation of a poem, and describe the symbolic meaning of the words, phrases, and images presented in the poem. It is common for a person to share his or her thoughts and impressions on what he or she has read. Sometimes the same book or poem produces the opposite impression on different readers. A review is an exchange of impressions about a book, and the expression of its attitude to the images created by the author. 1) Draw attention to the poem, influence the opinions of other people, and argue over the evaluation of artistic images. 2) Share the impression of what has been read with people who are far away. 3) Go deeper in understanding what has been read. Depending on the chosen goal, choose a genre of review. It can be an article, a letter, or an essay. A review always involves listeners. It can be a friend, a teacher, a librarian, or a wider audience. Both the form of the response and the content depend on the person you are addressing. Think about the name of your review. Even the word “review” can already become a name. At the same time, the work may have another heading: “Poem that touched,” “Invitation to meditation,” or “Lessons of love.” After you understand how to prepare for writing a review, it is time to know how to write a poetry review. 1. What material should be used according to the structure of the review? 2. What parts should the review include? 3. When was the poem written? 4. Do you like the poem or not? 5. How can the stated assessment be argued? 6. What does the title of the poem say? 7. What did the author want to say in the poem? 8. How does the author relate to the depicted lyrical images? 9. What is the innovation in creating a poem? 10. What artistic characteristics were used in the poem? The first step will be helpful both for writing a sample review and when you need to know how to write a poetry book review. Pick up the material and arrange it depending on the structure of the review. Keep in mind: the review consists of two main parts. In the first part, an opinion is expressed about whether the poem was liked or not liked. In the second part, the justification is substantiated, and the stated assessment is argued. There is no clear line between the parts. Be sure to include in your work your opinion about how the author relates to the depicted lyrical images. Evaluate the features of its perception, and what is the innovation in creating a poem. Real, biographical, and factual material. Ideological content: a) leading topic; b) main idea; c) emotional coloring of feelings; d) external impression and internal reaction to it. The structure of the poem: a) the main images; b) figurative means (epithets, metaphors, allegories, comparison, hyperbole, litotes, irony, sarcasm); c) syntactic figures (repetition, antithesis, anaphora, epiphany, inversion); d) sound recording (alliteration, assonance); e) poetic size, rhyme, methods of rhyme; e) stanza (couplet, triste, quatrain, octave, sonnet). To correctly interpret the poem, think what lies behind the words of the poet. Highlight keywords, and think over their hidden meaning. The compressed word becomes concentrated, multivalued. The peculiarity of the lyrics lies in the fact that it is primarily focused on the inner world of man. There is no description of the events in it. The inner meaning must be understood emotionality. In addition, the lyric poem is plotless. That is why associative thinking plays an important role. 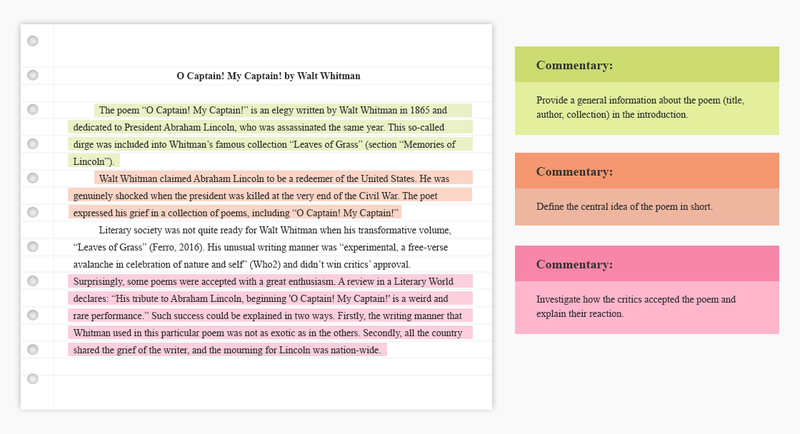 For argumentation, use the works of other authors and perform a comparative analysis. Refer to works of art and music. Completing the work on the review, check whether you have enough arguments, and whether there is no unnecessary, extraneous material. Edit your review. Do not forget that your work is written in a journalistic style, so it must be emotional and bright. It should work on your listeners. Use sentences different in structure for this purpose in your review. Gradation, inversion, and impersonal sentences are appropriate. The following poetry review sample will help you to find your own approach for dealing with your own review writing. 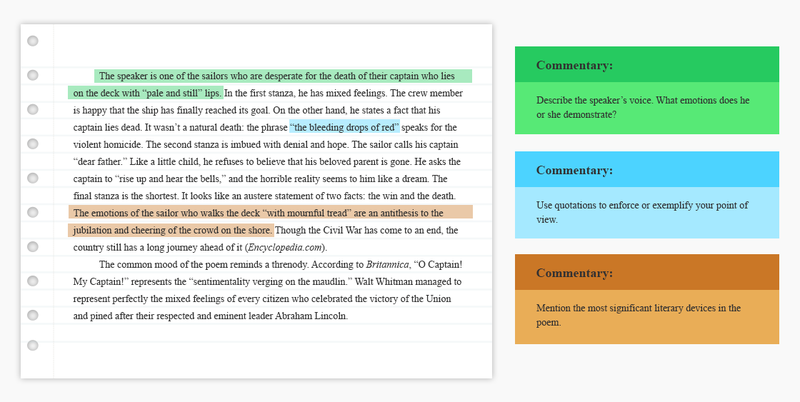 The author of the sample analyzes a poem according to the genre and academic standards. Our poetry review sample is an opportunity for you to develop the talent of the analyst in yourself and write your reviews successfully. So, read through the following analysis and learn how to write reviews on your own. A review of a poetic text develops the ability to define what is typical for the poet and his epoch, the features of rhythm (poetic dimensions), and the methods of rhyming. The analysis necessarily displays the subject and (if any) the plot, as well as the view of the author and his or her hero on the question posed in the work. In the beginning, give a brief biographical note about the author. Provide more details about the history of the creation of the poem: place, date, dedication, and other details. Define the system of versification: it can be syllabic (based on the number of syllables in each line), tonic (the basis is the number of stressed syllables), or a synthesis of the first two, which is the most common system. Proceeding from the system, determine the poetic size: iambic, trochee, dactyl, amphibrach, anapaest, tact, and accent verse. The size is determined by the number of syllables between the stresses. Count the number of stops for the stressed syllables. Determine the type of rhyme: by accuracy (exact, approximate or absent), or by shock (male, female, dactylic, hyperdactylic). Based on the correspondence between rhyme and metric, determine whether the last stop is full or truncated. Note that on different lines of the strophe the rhyme can differ according to the stress criterion. Determine the volume of the stanza in the lines. Set the method of rhyming: steam, shingles (simple or complex), and so on. Analyze the plot and its relation to the form. Describe how the author asks the question, how he or she is looking for an answer (if he or she is looking), and how he or she relates to the problem. Give your own assessment of the work: what you were thinking about while reading it, what feelings you experienced, and who would be advised to read (age, professional, other social and cultural groups). You have read through our guide and now you know how to write a poetry review. With our guidelines, it will be easier to deal with your review no matter whether you need to write about a poem or a book with a collection of poems. Find poetry review examples on our blog for a better understanding of your task and read through other guides for getting help with other academic papers.